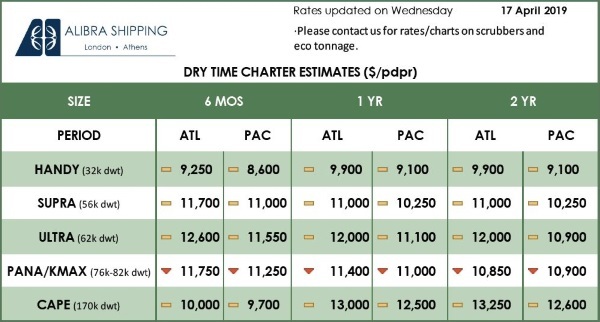 The USGC-USAC gasoline arbitrage up Colonial Pipeline’s Line 1 from Texas to North Carolina appears as off to its best start in at least a few years with every shipping cycle of 2019 to date allocated, according to market sources. To explain this, they pointed to wider spreads between Gulf Coast gasoline prices and their East Coast counterparts along with divergent gasoline inventories in PADD I and PADD III. “USGC refiners are processing too much, which is keeping differentials in the region under pressure the arbitrage positive. Thus [there are] the continued Line 1 allocations,” said a gasoline broker active along the USGC and USAC. A second US gasoline source said disparate stock levels in PADD III and PADD I have “definitely” supported continued Line 1 allocations this year, adding that he could not recall the last time he saw five cycles on Colonial Pipeline allocated in a row. A third source said Line 1 was allocated throughout most of 2015, but that he could not recall seeing five or more allocations in a row since then. Pipeline allocations occur when shipping demand for any one cycle exceeds available transport capacity. 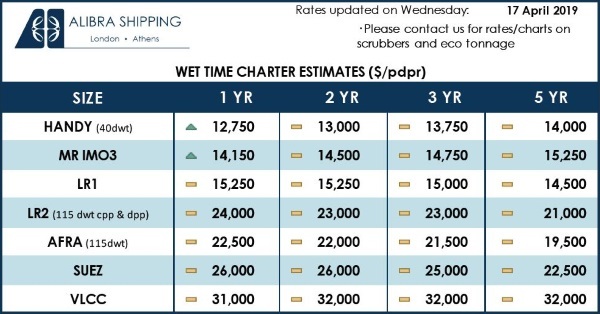 According to Colonial’s notices to shippers, every shipping cycle of 2019 to date has been allocated. Most recently, on Wednesday, Colonial said that the fifth shipping cycle of the year would be allocated, asking that nomination requests for the allocated cycle be submitted no later than Thursday evening. These cycle allocations suggest that the gasoline arbitrage from the USGC to the USAC on the 1.37 million b/d Line 1 is getting off to a strong start in 2019. “Never have I seen a year like with the first five cycles in a row allocated,” another gasoline broker said. More than any other one factor, the financial health of the arbitrage depends on price spreads along the Gulf and East Coast. Though it is worth stressing that S&P Global Platts only began assessing USAC Colonial Pipeline gasoline components in September 2016, available Platts data shows spreads between gasoline components at the pipeline’s origins in Houston and terminus in Linden, New Jersey, have been trending farther apart this month than any other January on record going as far back as 2017. USAC CBOB from January 1-10 on the Colonial Pipeline north of Greensboro, North Carolina, has been assessed at an average premium to USGC CBOB of 9.2 cents/gal, up from a 4.5 cent/gal average for the same dates in 2018 and a 2.62 cents/gal in 2017. Platts did not start assessing Colonial USAC CBOB until September 2016 and there are no records of the spread before that time. Platts data for RBOB assessments show a similar pattern. January 1-10, USAC RBOB on the Colonial Pipeline was assessed at average premium to its USGC counterpart of 9.6 cents/gal, up from a 4 cent/gal average in 2018 and a 1.6 cent/gal average premium in 2017. There were no USAC Colonial Pipeline RBOB assessments in January 2016. Aside from prices, US market sources also pointed to physical stocks in order to explain Line 1’s multiple allocations this year. “There’s been a ton of production in PADD III,” a trader said. The spread between USGC and USAC gasoline inventories blew out at the end-2018, he added. “Stocks are why Gulf Coast basis prices are so weak, this definitely accounts for the open arbitrage” another trader said. This narrative is corroborated by data from the US Energy Information Administration. The data shows that USGC gasoline stocks in the week ended January 4 were reported at 89.374 million barrels, their highest level on record. Just before that, in the week ended December 28, USAC stocks were reported 28.119 million barrels below stocks along the Gulf, the widest that spread has been since September 2016, the data show. USAC stocks moved lower at the end of 2018 thanks in part to a slowdown in East Coast gasoline imports, which were reported at 135,000 b/d in the week ended November 30, 2018, their lowest level on record in data going as far back as May 2004. Though USAC imports have a recovered somewhat, averaging 506,000 b/d in the week ended January 4, they remain below their year-ago levels, the data shows. USGC stocks, meanwhile, have swelled amid surging local production. Most recently, in the week ended January 4, USGC refineries ran at an average of 97.7% of total capacity, the highest level in any January going back to 2011. With USGC and USAC gasoline stocks moving in opposite directions and the arbitrage between the two regions being healthy on Line 1, Platts has assessed Line 1 space at an average of 2.5 cents/gal January to date, up from minus 0.77 cent/gal for the same average in 2018 and up from minus 2.1 cents/gal for the same 2017 average. While Line 1 space should not be thought of as a proxy for shipping demand, all else equal, positive Line 1 space values signal a more propitious arbitrage than negative values. “Now that the arbitrage is open, Line 1 space is worth something again,” the same trader said. Platts began assessing Colonial Pipeline Line 1 space in February 2015; its highest assessment on record is 13.5 cents/gal on May 17, 2016, Platts data show.